Trying to maintain healthy hair isn’t always easy, especially for a twin mom on-the-go but I have found a few tips, tricks and even at home hair treatments that have really changed my hair game. Today, on the blog I am sharing one of those, so keep reading. It’s the best hair treatment for damaged hair! Pantene Pro-V Intense Rescue Shots are the newest part of my hair regimen and I am so glad I found this product. The shots are packed with Pro- Vitamin B5, strengthening lipids and natural glycerin that target and repair damaged hair. I love how soft and shiny my hair feels after using just one and I couldn’t be happier with the results. 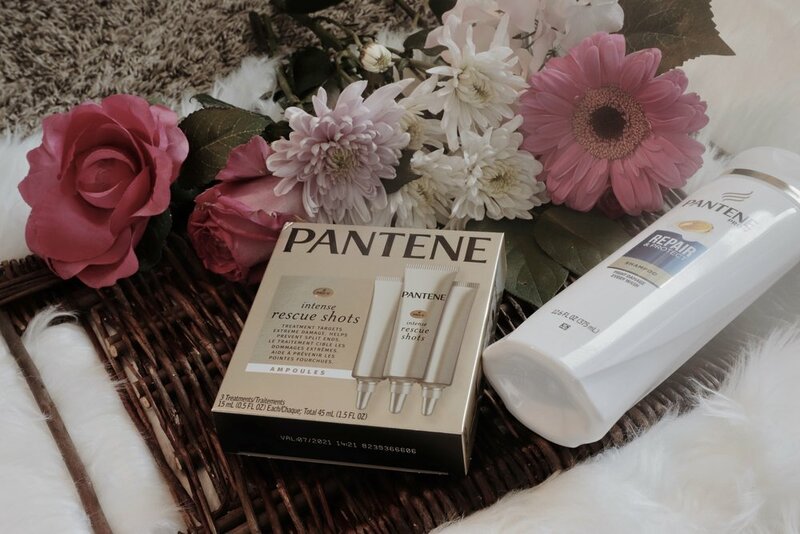 So glad I had the opportunity to partner up with Pantene to try this product, it is just what my hair needed! The Intense Rescue Shots allow me to style my hair over and over without fear of damaged hair. Instead of using normal conditioner use the Intense Rescue Shots (weekly) I normally use them twice a week. The shots come in a pack of three and each shot is a single- use so do be sure to use it all. Apply product from root to ends. Leave on for 30 seconds and then rinse for 30 seconds. The product is formulated not to leave any residue or weigh your hair down once it is dry but to prevent and repair split ends. 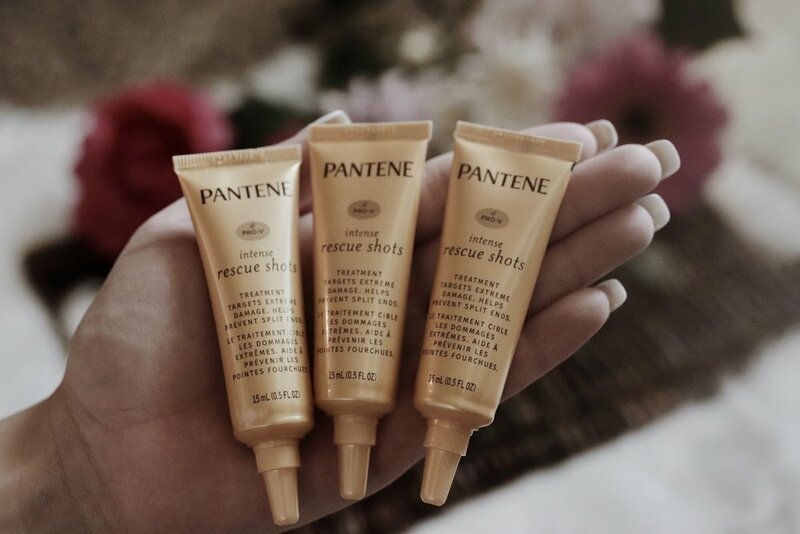 Pantene Pro-V Intense Rescue Shots hit stores a few months ago in January I believe, so be sure to grab a pack to try them out when you get a chance. Oh, and let me know your thoughts too. Your hair will thank me later! This post is sponsored by Pantene however, the opinions and text are all mine.